Our 1" extra wide bands are unique and distinctive, making them a very popular option. The extra width gives you more space for your custom message and logo or other artwork. Choose from a large variety of colors or color combinations! Our extra wide bands are a full inch wide, double the width of standard size wristbands. 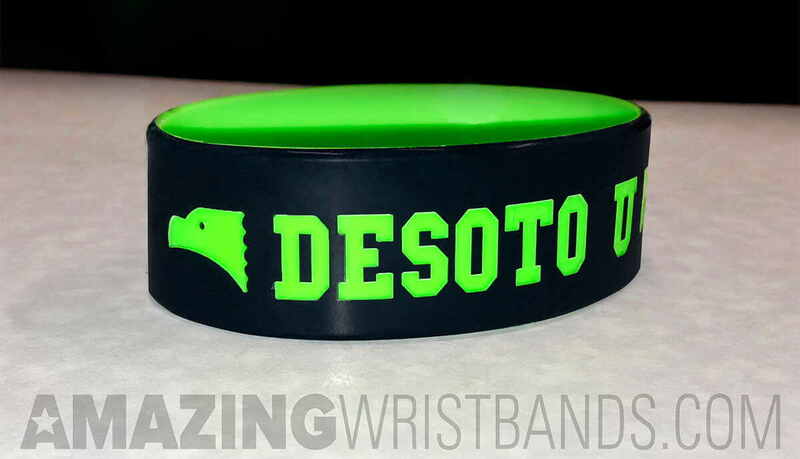 The extra width helps the wristbands really stand out and their versatility have made them very popular. 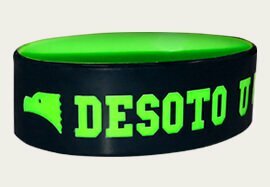 These stylish silicone wristbands can include your personalized message in debossed, laser embossed, ink-filled, colorized embossed and screen printed styles. Customize your band with artwork that complements your message. Providing the best customer service and latex-free wristbands is our ultimate goal.